Home » Why use Chatbots to grow your Business Online? Why use Chatbots to grow your Business Online? Chatbots are computer programmes designed with the capability of emulating a human conversation through written text. With an ideal and perfect Bot, you wouldn’t be able to the distinguish its texts and replies from those of a human (thereby passing the Turing Test). Its design typically includes a set of rules identifying prompts from users’ texts, along with Artificial Intelligence. They can be deployed using various Chat/Instant Messaging Applications, like Facebook Messenger, Slack, Telegram, Snapchat, etc. Therefore, to use them, you simply chat with them, like you would with a human. They aim to fulfill a User’s wishes, and as such, are as varied as people’s wishes themselves. You can use Bots to ask about the weather, your flight status; for ordering pizza, buying shoes, mixing playlists to your taste, and much more. What are the major benefits of Chatbots? Although their applications are almost limitless, their uses in business, give a rare and huge opportunity to Businesses. Why? Well, if you want your Business to grow today, an online presence is essential. And to build that, using the most widely-used medium should be the key. Look at the following points to understand their benefits in more detail. The most widely used medium for online interaction now is Instant Messaging, replacing Social Media Networking, as shown by Business Insider. This clearly indicates that consumers prefer the instant service of messaging over the more taxing activity of browsing or skimming entire websites and social media profiles. 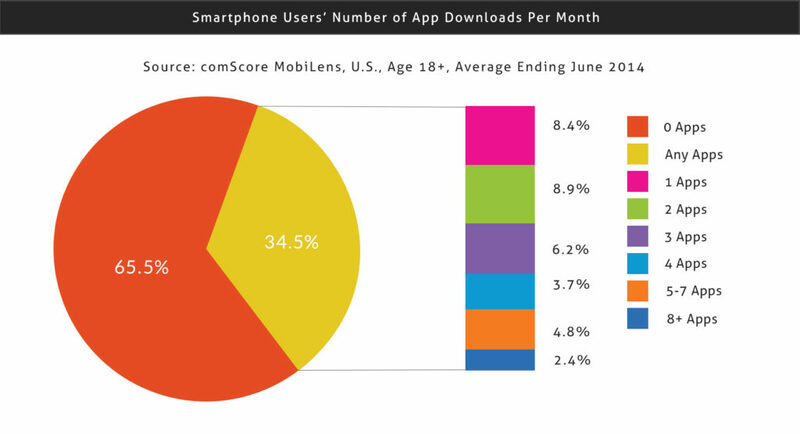 Further, more than 65% of such users don’t tend to download any new app in a month! With their core apps like Facebook, Twitter, Whatsapp, Messenger etc. installed, most users don’t feel the need to install more apps. So, bots should be a good way of going around this trend and encouraging more users to engage with their service. Continuing the previous point, Users want their queries solved quickly, ASAP; anything less is unsatisfactory. Consumers often find the waiting time on Hotlines and Helplines one of the most annoying features. Not just there, but waiting time is criticised by almost everyone everywhere. That might also be a reason for the growing popularity of Messaging platforms. In any case, Chatbots reduce the waiting time when dealing with customer requests, queries, complaints, feedback etc. to effectively zero. Often, many customers have the same types of queries or repetitive questions, which mean that Chatbots can be programmed to answer such queries immediately. Further, they can help a Business leverage the benefits of initiating conversations and reaching out. Businesses tend to do that by asking small things like, if the user needs any assistance. The small act of just letting the user be aware of your presence and any assistance improves consumer experience dramatically. Emphasising the points mentioned before, Chatbots are easily, widely and perpetually accessible. Anyone who has access to services like Messenger or Whatsapp can easily access Chatbots. They don’t need to go through the process of finding its app on the store and downloading it; they just need to use their Messaging app like before. Chatbots integrate perfectly with these Apps. Further, their services are available at all times, i.e. 24x7, 365 days a year. You don’t have to worry about any human fallouts typical when employing people on unusual hours. With chatbots, who are essentially robots, you don’t have to worry about motivating them. The bots don’t get tired and will continue to work throughout the year without needing breaks or intervals. Again this increases consumer satisfaction. IV. Chatbots improve your Customer’s experience! While it’s true that customers tend to have similar issues, their demands while shopping are dictated by their singular needs and characteristics. That might explain why an expert Personal Shopper is so highly valued. One where you have to manually browse everything, and select each individual type or brand to filter their likes. Another where you’re greeted by a chirpy Bot, who asks questions to determine your likes, dislikes, etc. Then, it comes up with a list of recommendations suited to your taste. Its sophistication further lies in its adaptability, where it can be programmed to suit the needs of completely different types of people. Expanding on the previous points, I’d further emphasise the Chatbots’ ability to scale as a business grows. Where employing and training more people is a major cost that impedes a business from growing, Chatbots present no such difficulties. They will scale and support your customer interaction features as and when your Business grows. Another typical concern for a growing business is its ability to handle multiple requests; without a parallel growth in its support facilities. Without that, for instance your phone lines would clog up, and you’d only be able to grow to a certain limit. Chatbots change all those rules! Chatbots will adapt as you grow. One user chatting with it doesn’t affect another user’s ability to do the same. A human typically could only interact with customers one-at-a-time; with chatbots, no such limitations! They can simultaneously interact and chat with thousands of people, with no delays. Typically, people hate repetitive work; they despise doing same types of small and recurring tasks. So, with such work, employees tend to easily get bored wanting variety and rotation. For the business, the consequences are a demotivated workforce, which makes them prone to making errors and has a negative effect on productivity and customer experience. Chatbots are capable of automating such repetitive work without compromising quality or customer experience. And, as machines, they’re not likely to make any errors. The repetitive but crucial painstaking task of finding bugs and fixing them can also be optimised using Chatbots. VII. Chatbots reduce your costs! Mostly, such beneficial tools tend to come at exorbitant prices. But, not in the case of Chatbots. They are quite easy, economic and fast to develop. Most costs associated with Chatbots are for one time only (Fixed Cost) in the initial stage. So, these won’t increase as your business grows. Those one-time costs too are actually lower than costs associated with building cross-platform fully functioning Apps! The popular Messaging platforms already have ready-made template-like softwares to guide you in building Chatbots, further reducing development cost and time. Iterating the point about reiterating tasks, chatbots save not only the costs associated with hiring more people, but also the potential costs arising from human errors. Due to the their exceptional advantages of wide access, large scale, and unique customer interactions, Chatbots can present a Business with invaluable data, providing insight into the market and its users. This data collected could be of different types. Simple feedback on different pages on the Business’ website – If enough information can be gathered from a decent sample size, then the business might understand how to increase its conversion rates, or how to make their site pages more interactive. As they collect data, over time, Chatbots can be particularly useful when tracking patterns and understanding consumer behaviour. Such patterns and behaviour, in the long term, would help a business understand how to market, what to market, and when to market. With even further statistical and regression analysis of this data, the business can predict what customers are likely to do in the future. To conclude I’ll say that as chatting platforms grow and App downloads decrease, Chatbots are very likely to dominate how companies interact with their customers in the future. Their applications and benefits keep on increasing as different types of bots are developed. Moreover, we are only in the nascent stage of Chatbots, so a huge potential for almost everyone exists. As the current platforms are far from complete, anyone willing to experiment and try something radical with them could cause a huge disruption.